Leaf blades and shorter handles for effortless cutting. 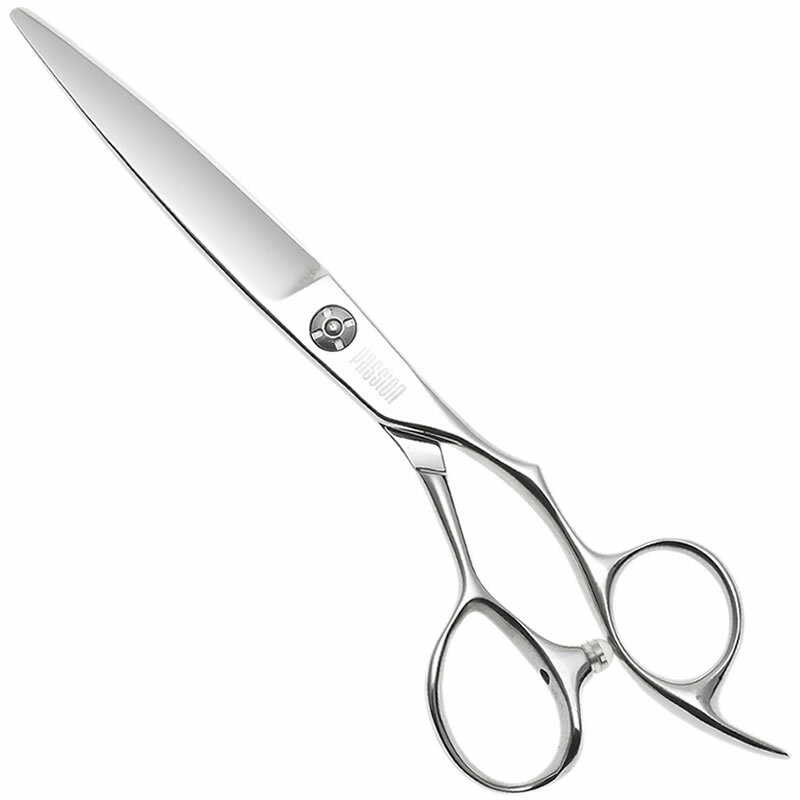 The Passion Eva is designed to amplify the power of each cut with leaf blades to give each cut weight and shorter handles that ensure power is transferred all the way down the blades to the very tips. The result is that each cut feels effortless so you get excellent results from freehand cutting and reduced hand fatigue. The blades are forged from Hitachi 440C stainless steel with razor sharp convex edges. The handles are offset with a fixed finger rest for comfort and a streamlined thumb ring to help focus the cutting power. There's also an adjustable tension screw to set your Eva up just the way you like it. The Passion Eva comes in 3 sizes: 5.5, 6 or 6.5 inches. £162.00 (inc. VAT) Why no VAT? We're a trade wholesaler and quote our prices without VAT to help our VAT-registered customers understand the true cost of a purchase. Press fastening leather sheath that holds one pair of hairdressing scissors. Sturdy and elegantly simple tool stand packed with removable plastic fibre to hold up to 8 scissors securely as well as combs and other tools. Measures 10.5 x 8 x 8 cm. Look after your scissors with Kobe's scissor care kit including a scissor cloth, high quality scissor oil and 3 different sizes of finger-ring inserts. Very good perm one of the best for a soft blow out perm it's quick to take too.